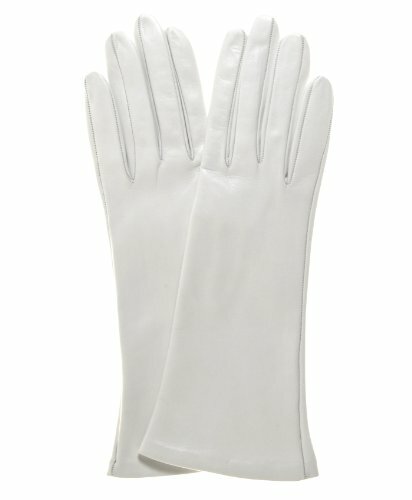 Ideal for weddings and debutantes, these 100% Italian Silk Lined pure white lambskin leather gloves are as simple and elegant as you can get. These four button length gloves (approximately 4 inches beyond the wrist) are neither long nor short, just the right length to accent a 3/4 length sleeve. Made in Italy by Fratelli Orsini. SIZING HINT: These gloves run true to size.